Charles Seymour was a man of many talents and considerable occult skills. The friend and confidant of Dion Fortune, he worked with her and his magical partner, Christine Hartley, for many productive years. As one of the Inner Circle of Dion Fortune's Society of the Inner Light, Seymour was a High Priest in every sense of the word but he was also one of the finest teachers of the occult art to emerge on the 20th century. 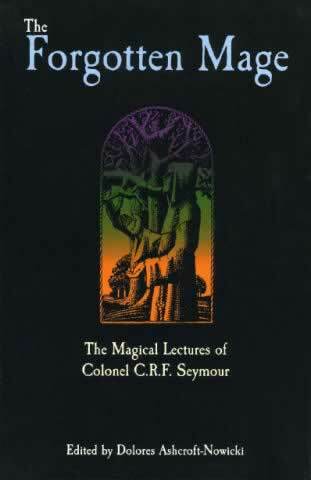 In the past, little of Seymour's work has been widely available but in this volume Doloras Ashcroft-Nowicki, Director of Studies of the Servants of the Light School of Occult Science, has gathered together a selection of the best of Seymour's work. His complex scholarship and broad background knowledge of the Pagan traditions shine through in articles which include: the Meaning of Initiation; Magic in the Ancient Mystery Religions; the Esoteric Aspect of Religion; Meditations for Temple Novices; the Old Gods; the Ancient Nature Worship and the Children of the Great Mother.